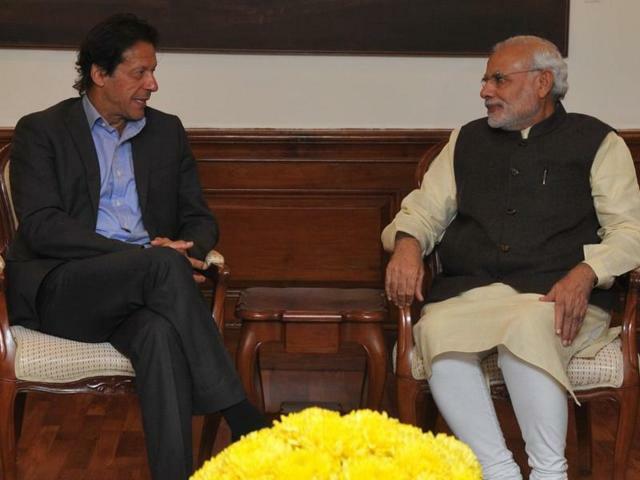 Foreign Office (FO) Spokesman Dr Faisal has said that Indian Prime Minister Narendra Modi’s congratulatory phone call to Pakistan Tehreek-e-Insaf (PTI) Chairman Imran Khan, for winning the July 25 polls, would hopefully pave way for bilateral talks between the two countries. Dr Faisal said this during a weekly briefing in Islamabad on Thursday. He also hoped that it would lead to an improvement in ties with South Asian Association for Regional Cooperation (SAARC) member states, including Afghanistan, Bhutan, Bangladesh, Nepal, Maldives and Sri Lanka, in addition to India. Earlier this week, the PTI had been deliberating inviting foreign dignitaries including heads of SAARC member states to Imran Khan’s oath-taking ceremony expected to take place on Aug 15 but decided against it on Thursday. In earlier discussions with the FO, PTI leaders were told that extending invitations to heads of state is a sensitive matter. During meetings between the foreign secretary and PTI leaders Shireen Mazari and Shafqat Mahmood, the possibility of India declining the invitation also came up, with the FO suggesting that Pakistan would face embarrassment in such a situation. However, if India was not invited, FO officials believed that it would convince the other SAARC countries to not attend the event either. Dr Mohammad Faisal confirmed that foreign heads of states have not been invited to attend the inauguration ceremony of the newly elected prime minister. He also said that Pakistan is witnessing a continuous journey towards the consolidation of democracy as it transitions to the next democratically-elected government.